The Railway Hostel Killarney has been completely renovated in 2005. We offer FREE BREAKFAST,FREE WiFi for guest with laptops and have regular DVD nights with Free popcorn! 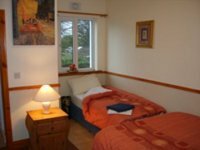 !Within the hostel we have both dormitory style accommodation and private ensuite rooms. 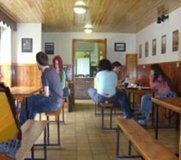 The hostel is staffed 24 hours a day, 365 days of the year. 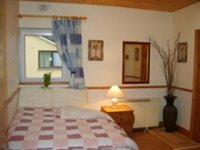 Facilities include a fully equipped kitchen and an extensive dining room, laundry, free showers, fresh bed linen provided, Free baggage storage, Free limited car spaces, tours to local scenic spots arranged, bike rental organised.Killarney is renowned throughout the world for its beauty and scenery from the famous Ring of Kerry to the lakes of Killarney and the Torc Waterfall. The Railway Hostel's expertise and determination will strive to make your stay in Killarney simply the best!.